More and more customers nowadays demand chocolate products made with cocoa that is cultivated and traded in accordance with responsible business ethics. 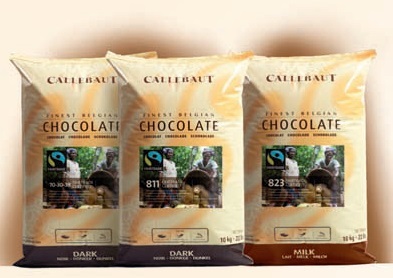 With these Fairtrade certified versions of Callebaut’s finest Belgian Chocolate couvertures, your customers can support improvements in sustainable farming. At the same time, you help provide smallscale farmers in developing countries with a better income. And the best part? Switching to Fairtrade chocolates makes no difference in your production, but it makes a big difference to farmers, and your customers!